All Hell breaks loose in D.C.! 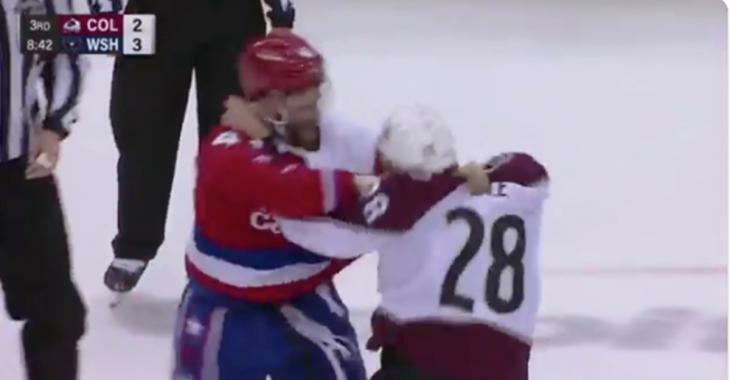 Midway through the third period in tonight’s game between the Washington Capitals and Colorado Avalanche, defenseman Ian Cole laid a shoulder into Capitals forward Evgeny Kuznetsov and… well you know what happened once Tom Wilson got ahold of Cole. Take a seat, Mr. Cole. You just got ROCKED. No word yet on the extent or severity of Kuznetsov’s injury. Standby for an update. UPDATE: Not only did Kuznetsov come back in the game... he potted the OT winner. How's that for sweet revenge?